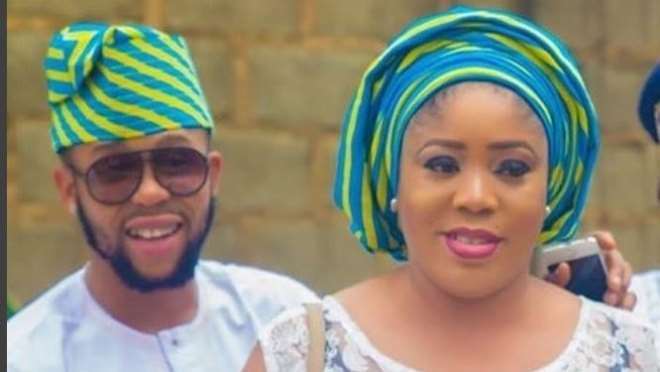 Nollywood actor, Sunkanmi Omobolanle, might always play that bad boy roles in movies but when he is off set, he cannot wait to rush home to his pretty wife. Since getting married, the actor has been very busy spending much of his time at home when he is not on set and this has given him time to bond with his woman. These days, at every slightest opportunity he gets, he does not fail to appreciate the woman God gave to him making his fans know that he made the right choice for a wife. Recently, the actor could not hide the love feelings he has for his woman as he openly ppromised to do anything for her just to remain happy the rest of her life.